Time to do a rebuild on my goto I think. Almost 3400 packages installed and still growing. Ugh! Totally all bloat basically. Need to get back to a clean install. @vastone - what club do you recommend for this? I actually do like (love? ) my Plasma/KDE setup. I was getting ready to remove/purge everything related to KDE/Plasma. 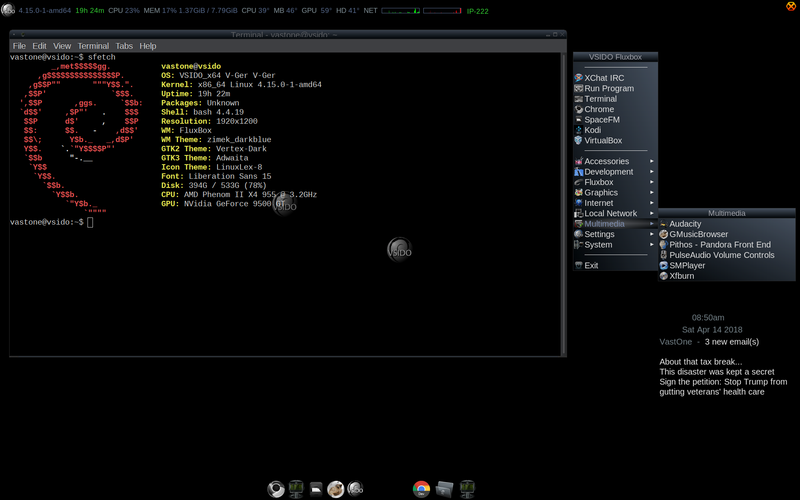 Mostly because this was a VSIDO setup, my best yet as my goto system, and Fluxbox is stupendously awesome. Minus your personal data VSIDO has a really small footprint. I've got a vast amount of empty space on my sdd not to mention the secondary 1 Tb hdd. Anyway, just wondering if anyone else has their personal system (only applies to pure Linux machines, i.e. no dual qaudruple booting refind systems) setup and running stably while having more than 3,000 pkgs installed? I'm just saying, personally I think VSIDO rules! hello PackRat. hi jedi. 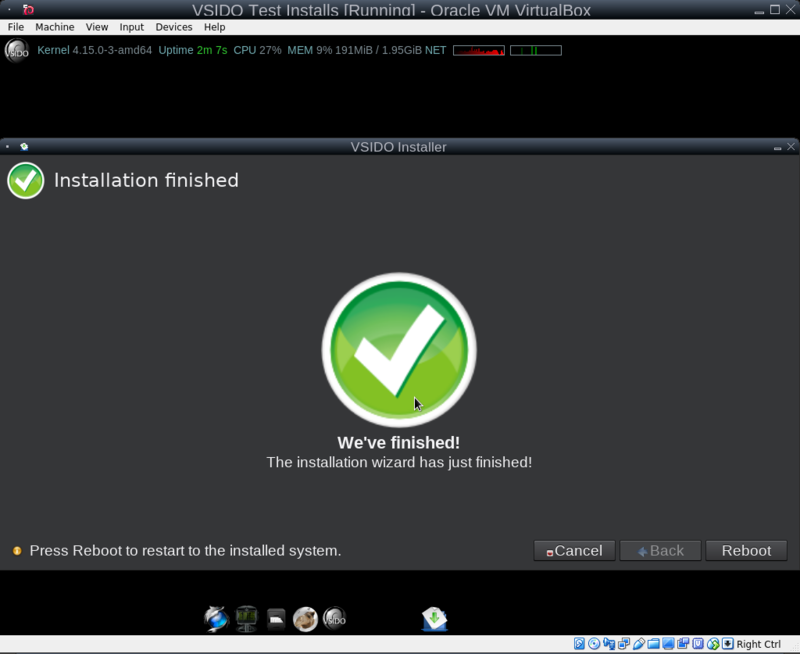 vsido one system on one machine rules with ... well only 1245 packges. not bigger than 3000. but for comparison , folks. hello PackRat. hi jedi. "You Rock" is very nice for you to speak such a thing. Though in regard you VSIDO ROCKS i am from somewhere below sand. I like to express it that this is a place where we walk among The Tall Trees of debian. The typing of vsido one in the previous post smoothly rolls. vsido #1 vsido one it is a natural fit. ^Thanks RatMan... you take that shot? Beautiful.. The area is where the river empties into the estuary. saves some memory over using fluxbox as the window manager in xfce; get the icons on the desktop, but no session management. Worst of all lose the fluxbox menu. I know the xfdesktop menu can be changed, but don't remember how. One thing I don't like about Xfce - don't have the fine-grained control you get with fluxbox/openbox/fvwm. Otherwise it's solid.